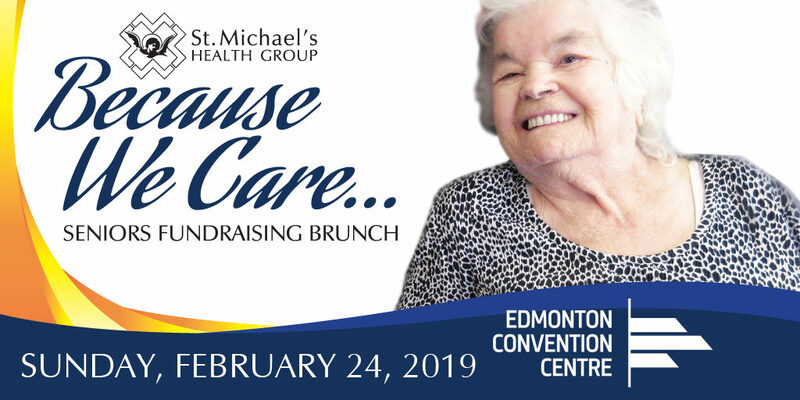 Join us on Sunday, February 24 when the St. Michael’s Health Group hosts the Because We Care Seniors Fundraising Brunch in support of St. Michael’s residents and for all those who believe in enhanced care for seniors. Enjoy a delicious breakfast buffet prepared by our kitchen of 11 Red Seal Chefs, followed by a “stay modern” fashion show featuring some of St. Michael’s own residents. To round it out, demos and a silent auction are also planned to capture everyone’s interest! For more information, please visit contact St. Michael’s Health Group directly at (780) 472-4507 or rnelson@smhg.ca. Tickets can also be purchased at the main reception desk of the St. Michael’s Long Term Care Centre.